3 Bedroom Semi Detached Bungalow For Sale in Luton for Offers Over £350,000. Situated within the desirable Farley Hill area and within a short stroll from the town centre, university and train station, this generous bungalow is situated on a substantial plot that offers huge potential and is ideal if you are looking to create your dream family home. The accommodation comprises of an entrance porch, spacious living room, large kitchen/dining room, separate utility area, larger than average bathroom, two double bedrooms and an additional room on the first floor. 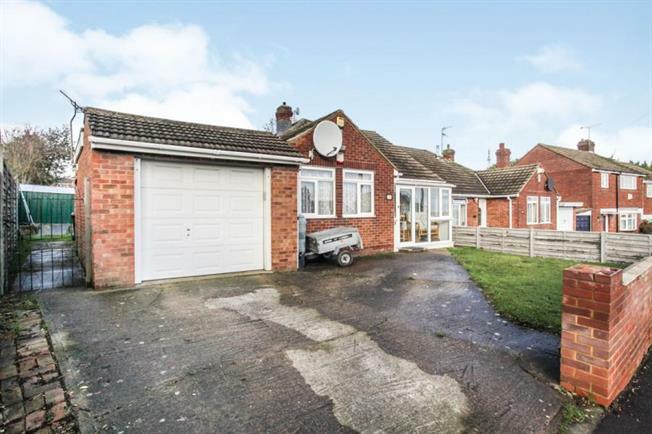 Externally the enormous rear garden offers potential to extend (STPP) and a driveway for several cars with access to a good size electric garage.